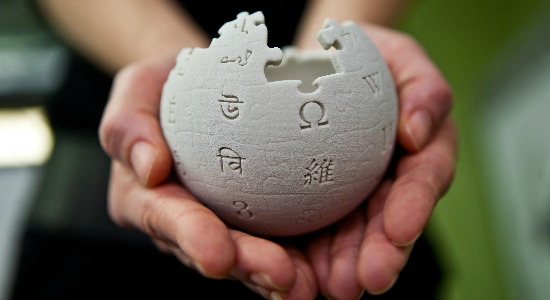 More often than not, students are told to never use Wikipedia in school. Most of this is typically based off the fear of students plagiarizing or finding false information. While these fears are legitimate, they do not allow students to properly utilize a wonderful source that many teachers ironically use themselves. This lesson allows students to explore proper uses for Wikipedia and gives them a method to enhance their critical thinking skills to evaluate sources and choose whether or not to trust it’s information. This lesson allows students to be in control of their own learning with the authentic task of research. They are all choosing information based on their individual interests, making independent judgements of sources and using different information/tools to interact with that new information. Sharing their judgements of sources/new information while using their rubric is a valuable formative assessment because they are able to explain why they rated their sources the way they did. Meaningful communication was achieved in this lesson through the Kahoot survey conversation, rubric evaluation dialogue and Schoology posts because students were able to explain their thoughts in various ways. Kahoot/Schoology/Links on the homework board offer ways to communicate across time zone and distances. At the end of the lesson, students were asked if they feel more or less confident using Wikipedia for outside information. Based on this discussion (and the Schoology questions), the instructor is able to set individual research goals for each class. This entire lesson asks them to question every source they encounter. Whether it is the wikipedia page itself or the other sources they find from that starting point. Providing the rubric allows them to focus on key components of criticizing sources but holds them accountable of formulating their own opinions. Students are continuously asked to reflect on their role as critical thinkers, whether it is the dialogue with the kahoot survey, dialogue with the rubric evaluations and contents of their schoology posts. Students kept their rubrics and were told to save it for when they need to evaluate sources in the future (including high school! ).